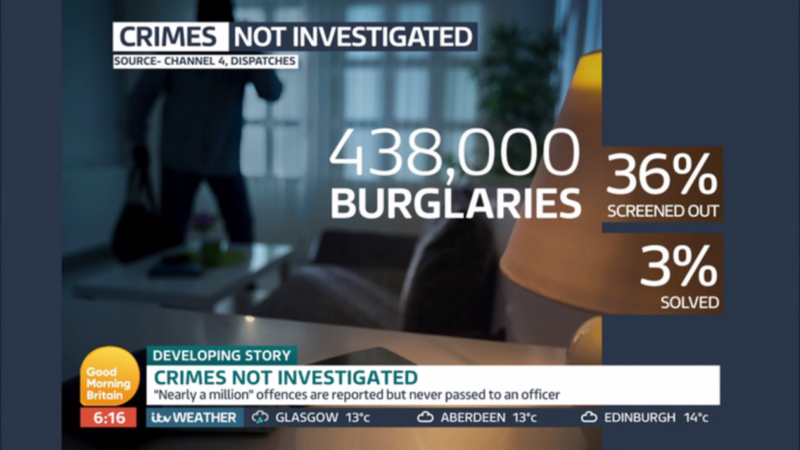 Nearly 1 million crimes have been ‘screened out’ by police and never passed onto an officer for further investigation, Channel 4’s Dispatches has revealed. The figures have surfaced following a freedom of information request by the TV programme which asked 43 police forces in England and Wales to disclose cases in 2016 and 2017 which did not qualify for further investigation following the initial screening. It was discovered that up to 27% of crimes were ‘screened out’. The data highlights that only 3% of approximately 438,000 burglaries were solved. Of the 21 forces who provided comparable data for burglary, 36.42% were being screened out. The show also noted there were more than 450,000 vehicle offences in England and Wales last year, including both thefts of cars and items from inside them, with 59.51% being screened out. So what should we be doing in the fight against the rising crime rate? Equipping your property with a good home burglar alarm system is a great start. Smart Home Protection offers a complete home security solution, with 24/7 monitoring, meaning that your burglar alarm will NEVER be ignored and help is constantly at hand to provide you with complete peace of mind.